Considering the TV series House centers around an unorthodox doctor, it isn’t too surprising that the production crew took an unorthodox approach to filming the Season Six finale. According to a tweet by director Greg Yaitanes, the production crew shot this year’s season finale using the HD video recording feature of a Canon 5D Mark II DSLR still camera. In replies to fans’ questions on Twitter (via PetaPixel), Yaitanes says that the $2500 Cannon camera was perfect for the finale’s many “tight” scenes. During filming, the production crew didn’t use any stabilization features or tools beyond a small tripod, and used only a couple lenses aside from the standard Canon lenses. 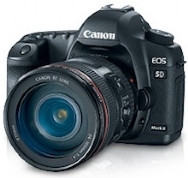 via Season Finale Of ‘House’ Filmed With Canon DSLR – PCWorld.